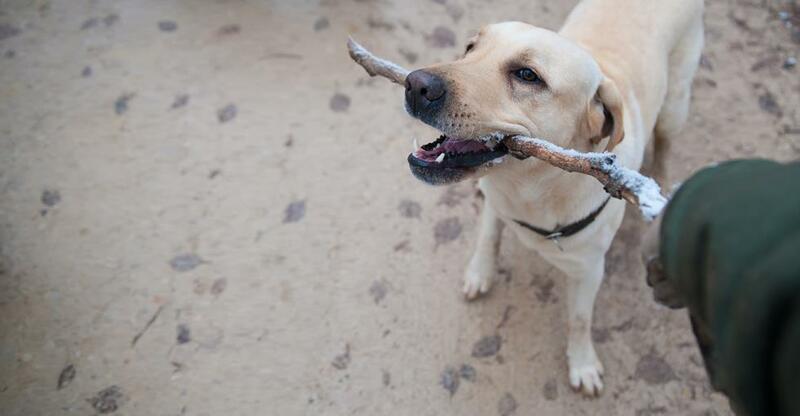 Don’t drop the ball during the sales process with our guide to selling your kennel. Many new entrepreneurs want to escape the 9 to 5 grind and start a business that incorporates their love for animals. If selling a kennels, you therefore have a strong advantage. The keen interest in this type of business, puts you, the seller, in a good position when it comes to selling your dog boarding business. Pet enthusiasts may consider buying a kennel as a chance to fulfil a lifelong dream. It is very much a ‘lifestyle’ business choice and one that suits someone with patience and a good knowledge of animal behaviour and handling. The pet boarding and grooming industry in Canada has grown significantly over the last five years. Growth per annum is just shy of 7% and total market revenue is around $541 million, making this sector even more enticing for animal lovers wanting to combine passion and enterprise. Although figures prove the kennel industry has a growing market and healthy statistics, running a pet boarding business is not for the faint-hearted and being a dog lover is not enough to succeed in the industry. When selling a business in any sector, you will need to determine what the business is worth by getting a full valuation. It is best to obtain this through a professional, who ideally has experience valuing businesses in the pet care sector, to provide you with an accurate valuation. There are a number of different methods to determine the valuation of a kennel business, for example, you could base a valuation on the assets of a business, which due to the nature of the business, could also include a neighbouring property. Valuations may also be determined by taking into account projected revenues or cash flow. Your current inventory and equipment will also be taken into consideration when determining the sale price. A professional will have a greater knowledge of the business value in relation to the local area, even if they are not a specialist in the pet care industry. You can provide them with your knowledge of the sector to help give a better understanding of the current market. In order to get the best possible price for the sale of your business, you must get your books and operation in order to make sure your kennel is appealing to potential buyers. Whether you have an accountant, or you manage the books yourself, you should organise all financial records so they are at hand and easy to review. This could include bank statements, leases, or any contracts you have in place - make sure all documents are clearly formatted and your files are organised. When you’re preparing to sell your business try to put yourself in the buyer’s shoes; fix up any broken equipment and make necessary repairs to ensure your kennel looks its best. Make sure all the cages are in good condition and the grounds are well maintained, this will give interested parties a good first impression of the business. Although the physical side of the business needs to look its best, making sure business is booming, and the balance sheets are healthy, is vital to ensure you get the best sale price. You should build up your client base and figures for both new customers and regular clients; increasing your occupancy rates will attract more interest during the sale of your business. You could have the most successful kennels in the area, but if you don’t market the sale of your business, you could end up losing out. During the sale period it is important that you remain focused on maintaining a healthy revenue and keeping profit figures high. Hiring a business broker who has extensive knowledge of the pet care industry, and who may already have a client list of potential buyers, is invaluable for anyone selling a dog boarding business. When choosing the right broker for the job, make sure they have a successful track record and good reviews from other clients. A typical time frame to sell a business in Canada could be anywhere between six to 12 months; this period is just as important as when you first started the business. Don’t drop the ball, and be committed to maintaining a successful business, this will help your broker negotiate the best possible sale price.